Nestled in the Northwest part of Florida is a peaceful village hailed as the Original Beach Town. While most tourists know Florida for the perpetually sunny Florida Keys or the party town that is Miami, Grayton Beach offers its own unique flavor.It’s located right along the Gulf of Mexico, in between Pensacola and Panama City. When you’re done exploring Florida gems like Indian Rocks Beach, consider paying a visit to Grayton Beach. Graytonites pretty much make a lifestyle out of sunset cocktails and lounging by their boats. So if you’re looking for a relaxing place to kick back, look no further than Grayton Beach. The area is easily accessible, but Natalia Breviglieri, who travels around the US and the rest of world for poker tournaments, suggests planning early to save on airline tickets. Use sites like Expedia and Skyscanner to get the best deal. While you’re at it, you can save some more extra bucks by packing light and avoiding check-in luggage. Jet-setting actress Gwyneth Paltrow also revealed in an interview that the trick is to pack pieces you can mix-and-match and to consider washing your clothes at the hotel. You’ll thank yourself later when you have more to spend on a fancy meal, a massage, or a nice souvenir — all of which you can definitely enjoy at Grayton Beach. 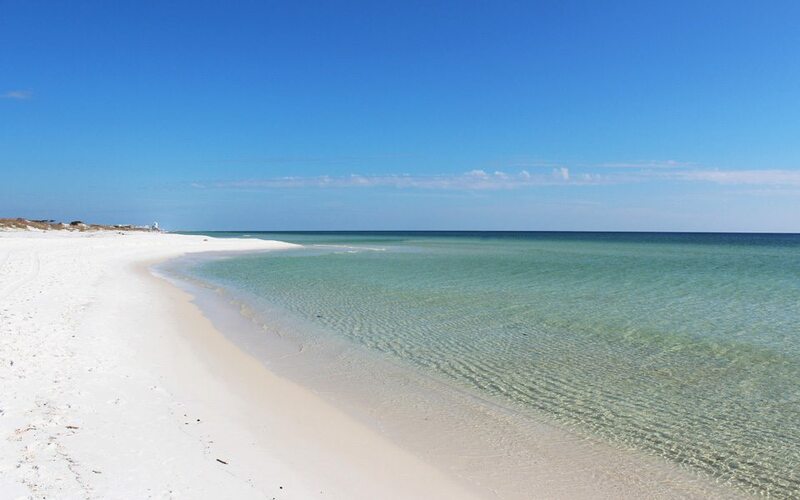 Spanning nearly 2,000 acres, Grayton Beach State Park is one of the most beautiful beaches in the world. Boasting smooth sands and warm waters, it’s great for lazing around — itinerary optional. But if you prefer getting up and being active, there are a range of activities to choose from. On Western Lake, there are canoes, paddle boards, or kayaks that are rentable by the hour or day. Hiking trails are also there to explore in hopes of catching sight of grey foxes, deer, or a Florida black bear. Visitors far and wide flock to this hidden gem of a bookshop, which houses an extensive selection of books, magazines, and greeting cards. Sundog Books’ main attraction, however, is its overall vibe. Here, you see plenty of people reading books from the shop in the surrounding beach area, and a cup of joe from their in-house Jittery Joes Coffee tastes just as welcoming. On the second floor, you will also find a record shop with a selection of vinyl and CDs. Beyond its breathtaking landscapes, South Walton has a rich creative culture and community — from painters and sculptors, to musicians and actors. It also has more than 20 local art galleries, each with their own eclectic style. Some notable mentions include Quincy Avenue Art & Things, Newbill Collection By the Sea, and the town’s very own Repertory Theater. The Red Bar has been elevated to institution status at Grayton Beach. Its distinct walls are covered in an interesting assortment of art, while an in-house jazz band plays almost nightly. You can’t go wrong with their classic menu, composed of beach favorites and catch-of-the-days like crab and shrimp. Bonus: Their bar is open 24/7. Matarangi offers a distinct Grayton Beach experience you won’t find at luxury chain hotels. But don’t worry, it doesn’t scrimp on modern design. This trendy beachfront house is right by the ocean, allowing you a premium view during your whole stay. If you prefer to stay somewhere with a classic, Old Florida feel, this B&B offers rooms adorned with nostalgic beach antiques. 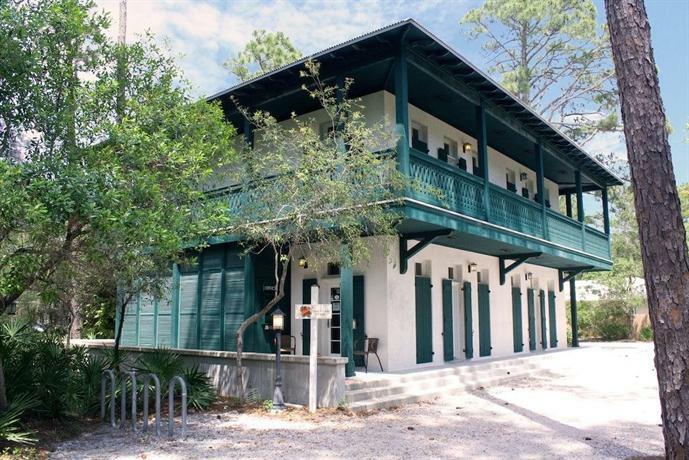 It’s ideal for intimate getaways, and is right up the street from the stunning white sands of Grayton Beach. Follow me on your favorite social media platforms!